CEDAR CITY – The past comes alive Saturday at the Frontier Homestead State Park Museum “Sheep to Shawl” event, where visitors can learn through demonstration and hands-on activities how wool can be made into many different things. From 10 a.m. to 2 p.m., Sagebrush Fiber Artisans, a Cedar City-based group, will provide an interactive demonstration on the step-by-step journey “of taking wool from the sheep’s back to yours,” according to a press release from the museum. The family-friendly event will offer a variety of ways for curious visitors to get their hands dirty at one of the many stations set up around the museum. 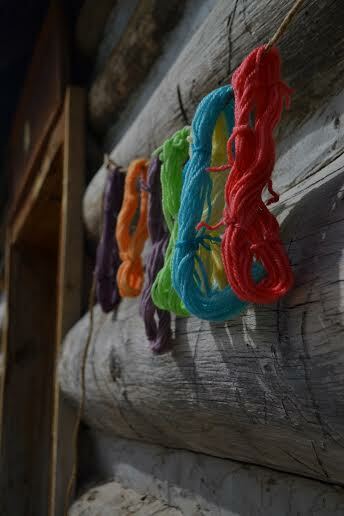 Activities include washing, carding, spinning and dyeing wool, as well as knitting and weaving. Sagebrush Fiber Artisans began as a weaving spinning group and expanded to include other areas of textiles arts, such as knitting, cross-stitch and embroidery. The idea behind events that teach frontier skills like Sheep to Shawl is to provide a bridge between ancestors and descendants, said Ryan Paul, Frontier Homestead State Park curator. Paul added that the hope is that the community will begin to view the museum as “the new town square,” — a place for people to gather where they can use and share skills and knowledge that will connect with the past with a vision for the future. When: Saturday, March 19 | 10 a.m. to 2 p.m.
How much: $1.50 per person | $5 for families | free to Friend’s Group cardholders.